He was born on the 10th of Rabi-ul Akhir 1325 Hijri (1907) in Bareilly Shareef. His grandfather and the great Mujaddid of Islam, Imam Ahmed Raza (Alaihir Rahmah), was pleased with his birth and personally called out the Azaan and Iqamah in his ears. He even chewed a date and placed it in Hazrat Ibrahim Raza Khan's (Alaihir Rahmah) mouth. A'la Hazrat's brother, Ustaaz-e-Zaman, Hazrat Mawlana Hassan Raza Khan (Alaihir Rahmah) was also very pleased when he heard of his birth. To celebrate the auspicious occasion of his Aqeeqah, A'la Hazrat (Alaihir Rahmah) prepared a huge feast for all the students of the Madressa. Students from different parts of the world were fed with their customary food. Imam Ahmed Raza made sure that all the students were very happy during this invitation. 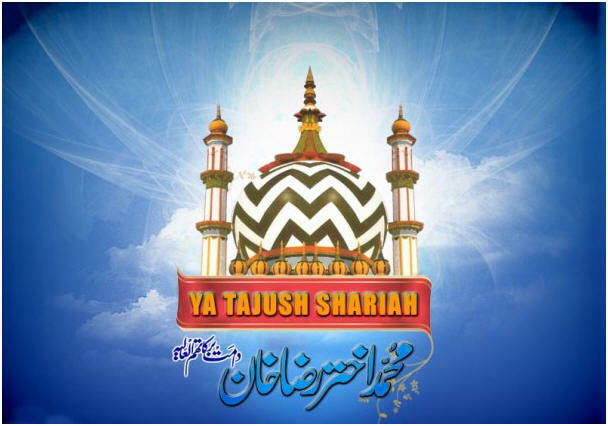 Hazrat Ibrahim Raza Khan (Alaihir Rahmah) was named Muhammad according to the family tradition. His father, Huzoor Hujjatul Islam, Mawlana Haamid Raza (Alaihir Rahmah) added the name Ibrahim. His mother called him Jilani Mia. He later in life earned the title "Mufassir-e-Azam Hind." On a Thursday, the 14th of Shabaan 1329, Imam Ahmed Raza held the traditional Bismillah Khwaani (Commencement of Islamic Studies) when Hazrat Jilani Mia (Alaihir Rahmah) was four years, four months and four days old. Many people were invited and fed. Hazrat Ibrahim Raza Khan Jilani Mia studied the Holy Qur'an and the Urdu language by his mother. When he reached the age of seven, he was enrolled into Darul Uloom Manzar-e-Islam in Bareilly Shareef. He studied under great Ulama such as Mawlana Ahsaan Ali Saahib Muhaddith Faizpuri, his father Hujjatul Islam Mawlana Haamid Raza Khan and Hazrat Mawlana Sardaar Ahmed Muhaddith-e-Pakistan (Alaihimur Rahmah). In 1344 Hijri, he qualified as an Aalim and Faadil at the age of 19 years and four months. Huzoor Hujjatul Islam (Alaihir Rahmah) tied the turban on his head and blessed him with the Khilafat. "When Huzoor Hujjatul Islam passed away, then Jilani Mia, was not here. When he returned, then some people had reservations about his Khilafat, so I said that if some of them had reservations concerning whether his blessed father gave him the Khilafat, and then I too hereby bestow the Khilafat upon him. Now, none should have any objections. Because of my support for him, many people now supported him and the Madrassa was given in his control." Hazrat Allama Mohammed Ibrahim Raza married the daughter of his uncle, Huzoor Mufti-e-Azam Hind. This marriage was arranged by the great Mujaddid, A'la Hazrat Imam Ahmad Raza Khan (Alaihir Rahmah). Hazrat Jilani Mia (Alaihir Rahmah) was very a kind and generous person. His led his life according to the life of the great Mashaa'ikh. He usually oiled his hair and beard after taking a bath. His clothing was a simple loose Punjabi Kurta. He sometimes wore an almond-coloured coloured Kurta, but white was his usual colour. His diet consisted of roti (bread), braised meat, Kalabash, herbs and Bhindi. He loved to wear Itar. When Itar was given to him he made sure that it was made from permissible substances. He used both his hands to apply the Itar on to his chest and under his arms. He slept on his right-hand side. He never preferred anyone to lie flat on his or her face when asleep. In 1372, Hazrat Ibrahim Raza Khan Jilani Mia made Ziyarah of Haramain Sharifain. The Ulama of Makkatul Mukarammah and Madinatul Munawwarah showed great respect to him due to his relationship with the great Mujaddid A'la Hazrat (Alaihir Rahmah). While there great Ulama and Mashaa'ikh blessed him with Ijaazats for Hadith, Dalaa'ilul Khairaat, Hizbul Bahr, etc. Hazrat Allama Mohammed Ibrahim Raza Khan (Alaihir Rahmah) was a very well qualified and experienced teacher. After Fajr Salaah, he would spend time reading his Wazaa'if, etc. He would then have his breakfast and go directly to his classroom. He always entered the Darul Uloom before the students read the Salaami to commence classes and would join them in sending Salaams to the Holy Prophet (sallal laahu alaihi wasallam). He would then make Du'a with great sincerity. He used to teach the Hadith Kitaabs, viz. Muslim Shareef, Tirmizi Shareef, and Mishkaat Shareef. He also used to refute the corrupted beliefs of the Wahabis/Najdis with authentic proofs. When teaching Muslim Shareef, he often entered a very high spiritual state. He used to speak most often in Arabic, and he encouraged the students to do the same. Hazrat Allama Mohammed Ibrahim Raza Khan was also a dynamic orator. Once, there was a two day programme. He delivered a very dynamic lecture on the first day, and then left. The next day, Hazrat Muhaddith-e-Azam Kichauchwi (Alaihir Rahmah) was due to lecture. He said, "In the morning, 20 Wahabis came to me and said that the lecture which was delivered the night before inspired them so much that they made Tauba and accepted the (true) Islam." Hazrat Mufassir-e-Azam Hind (Alaihir Rahmah) started the monthly A'la Hazrat Magazine for the propagation of the teachings of the Ahle Sunnat Wal Jamaat. The magazine proved very successful. Alhumdulillah, this magazine is still in circulation even today. Hazrat Mufassir-e-Azam Hind (Alaihir Rahmah) was also a very powerful Saahib-e-Karamat. A few Karamats are being presented here for Barakah. Once, a dumb man was brought to Hazrat Mufassir-e-Azam Hind (Alaihir Rahmah). Hazrat Mufassir-e-Azam Hind made Du'a for him and he began to speak immediately. Many of the Tableeghis in that town who saw Hazrat Mufassir-e-Azam Hind's miracle made Tauba (repentance) from their false beliefs. Once a couple came to Hazrat Mufassir-e-Azam Hind. They told him that their brother-in-law, who was the bread-winner in the family, had been falsely accused of murder. They requested him to make du?a for his release. Hazrat Mufassir-e-Azam Hind asked them if he was a Sunni. They replied that he was. Hazrat Mufassir-e-Azam Hind (Alaihir Rahmah) took a piece of paper and wrote the following Arabic words on it: Allahu Rabbu Muhammadin Salla Alaihi wa Sallama, Nahnu Ibaadu Muhammadin Salla Alaihi Wa Sallama. Hazrat Mufassir-e-Azam Hind (Alaihir Rahmah) told them that the prisoner should learn this Durood and recite it in abundance. He also instructed them that he should tie the Taweez on his right arm and, if Allah Wills, he will be released. Ten days later, both of them returned with sweets and Niyaz. They also brought a third person with them. They told Hazrat Mufassir-e-Azam Hind (Alaihir Rahmah) that the person was their brother-in-law. They told him that he was found not guilty and released, but the two others who were with him have been given life sentences. Hazrat Mufassir-e-Azam Hind (Alaihir Rahmah) made them Mureeds and then advised them to continue with their Salaah and Durood Shareef. 1. Hazrat Allama Rehaan Raza Khan: He was born on the 18th of Zil-Hijjah in Bareilly Shareef. He is the Mureed and Khalifa of Huzoor Mufti-e-Azam Hind (Alaihir Rahmah). He was a great teacher and a very powerful personality. He passed away on the 18th of Ramadaan 1405 (1985). His Mazaar Shareef is in Bareilly Shareef. His son, Hazrat Allama Subhan Raza Khan Subhani Mia, is the present Sajjadah Nasheen of Bareilly Shareef. 2. Hazrat Allama Mufti Mohammed Akhtar Raza Khan: He is the present Torch-Bearer of the Khandaan-e-A'la Hazrat. Huzoor Mufti-e-Azam Hind (Alaihir Rahmah) appointed him as his Successor (Ja'Nasheen) during his lifetime. He resides in Bareilly Shareef. 3. Dr. Qamar Raza Khan: He resides in Bareilly Shareef. He is a very kind and loving personality. He resembles his brother, Hazrat Allama Mohammed Akhtar Raza Khan very closely. 4. Hazrat Manaan Raza Khan Manaani Mia: He is a very well known personality and is the founder of Jamia Nooria, a Darul Uloom constructed in memory of Huzoor Mufti-e-Azam Hind (Alaihir Rahmah). 5. Hazrat Tanweer Raza Khan: He was older than Hazrat Allama Mohammed Akhtar Raza Khan and was always in a very high spiritual state even as a child. He disappeared (Mafqudul Khabr) as a child and has never been seen or heard from since. My own faults stop me from finding faults in others. Slight absence makes the heart glow fonder and a lengthy absence kills the love. The respect of every nation depends on its Ulama. Allah gave us two years and one tongue, so that we listen more and speak less. Piety is through good character and not through family ties. One who is not the beloved of Allah cannot be your beloved. Sabr (patience) is more bitter than poison and sweeter than honey. Knowledge without practice is a burden to one?s soul. Allah gives comfort in the world to one who does deeds for the Hereafter. When you have done everything, then you should still think that you have done nothing. Hazrat Mufassir-e-Azam Hind (Alaihir Rahmah) passed from on a Monday, the 11th of Safar 1385 Hijri (12 June 1965). The next day, his Janazah Salaah was prayed at the Islamia Inter-College. Mufti Sayyid Muhammad Afzal Hussaini performed the Janazah Salaah. Mufti Muhammad Afzal Hussain, Mawlana Muhammad Ahsaan Ali, Mawlana Sayyid Arif Ali, Janaab Sayyid Ijaaz Hussain and Janaab Muhammad Ghaus Khan lowered him into his Qabar Shareef. 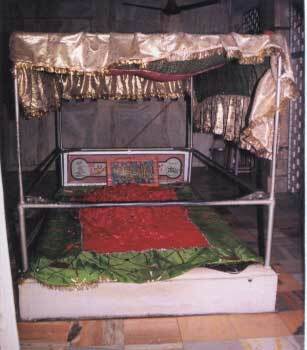 His Mazaar Shareef is in the Dargah of A'la Hazrat (Alaihir Rahmah) in Bareilly Shareef.